When you first install your RingPatrol device, it doesn't know how to connect to your network. 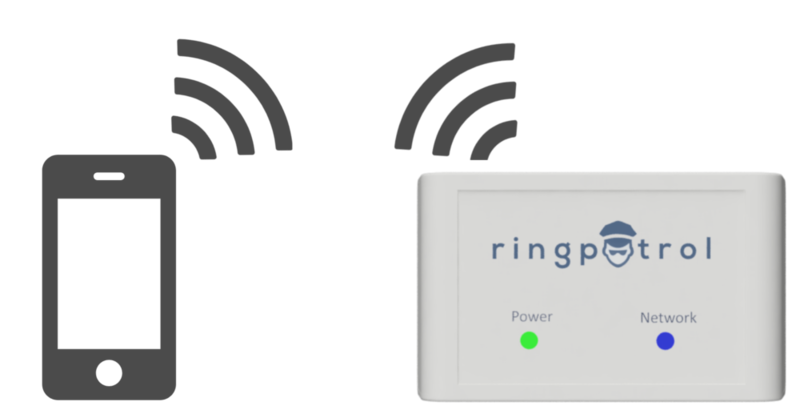 To tell it how to connect to your network we must first connect with RingPatrol directly, provide it with your network credentials, then it can connect to your home WiFi network. To connect with RingPatrol directly it must act as a WiFi router. It does this by default any time the blue LED is blinking. 1. Go to your devices WiFi settings and connect to the network named RingPatrol. 2. When prompted, use "password" for the password (without quotes). 3. Once you are connected, go back to the RingPatrol app to continue installation. Note: If your phone tells you that you are not connected to the internet, that is ok. Tell your phone to stay connected to the network. This is important because both Android and Apple phones by default disconnect from networks that don't have an internet connection.